Besides DVFF, there are lots of great organizations working hard to keep our streams clean, the fish happy, and development in riparian corridors in check. They educate, inform, twist arms of regulators, and roll rocks in streams. When gentle persuasion isn't working, some of these groups aren't afraid to sue the offenders. These organizations are local, regional, and national in scope, but all have one thing in common - they could use our help. One easy way to do so is by becoming a member. This list will grow over time; if you have another group you'd like DVFF members to know about, please let the Conservation Chair know. "Protecting and restoring the natural ecosystems of the Alameda Creek watershed" — This volunteer-based community watershed group works to restore native steelhead and salmon to Alameda Creek. "Conserving California's fisheries" — Perhaps the go-to organization for information on all issues involving our fisheries. "Working to protect wild trout and steelhead waters throughout California"
"...provides fly-fishing retreats specifically tailored for women who have or have had breast cancer." A national organization based in Vermont, and with a very active Northern California Chapter. "...a resource for the San Francisco Bay Delta and Watershed." — Providing solid data to improve decision-making in the Delta. "...committed to preserving the lands, waters, and cultural heritage of Northern California's Fall River Valley." — Working hard to save an iconic river. "Conserving. Restoring. Educating. Through Fly Fishing" — The networking glue that holds clubs together throughout the United States. Our local chapter is the Northern California Council. A volunteer group whose focus is Walnut Creek and its tributaries. "Exploration, preservation, stewardship" — Based in Lee Vining, Calif., this group keeps tabs on all aspects of the giant Inyo National Forest. Recently, they fought for (and won) preserving the Owens River headwaters as wilderness. "protects and restores California rivers by influencing public policy and inspiring citizen action" — Yes, their focus is on rafting, but with few exceptions, they come down on the same side of issues as we do. "Protecting nature. Preserving life." — A national organization that purchases and protects important environments. Key projects in CA include the McCloud River Preserve, and the headwaters of Shasta Creek. 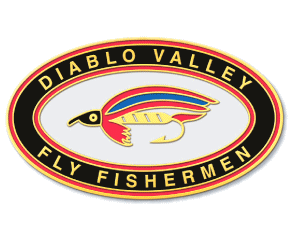 "Mission...to foster stewardship and improve the wild trout fishery in Putah Creek." — Supports our best, closest trout stream. "Promoting healthy watersheds through community involvement in stewardship, restoration, and education." Works on streams in Siskiyou County, with a focus on the Upper Sacramento River. San Pablo Watershed Neighbors Education and Restoration Society, with a mission to protect the San Pablo Creek Watershed and inspire community appreciation and stewardship through advocacy, education, and habitat restoration. "Protect, reconnect, restore, and sustain California's salmonoid fisheries, watersheds, their diversity, and their populations." — A national organization with seven active chapters in California. "...a Non-Profit Organization whose purpose is to promote environmental awareness through education and hands-on experience and to save a species from extinction." — An amazing success story at a high school in Petaluma. "Sometime to save a river, you have to buy it." — Portland, Ore.-based organization protecting outstanding river ecosystems in the western United States, with projects in California. (On their website, don't miss the very cool trailer for the DVD, "Skagit Master").